A new Vicair O2 product! 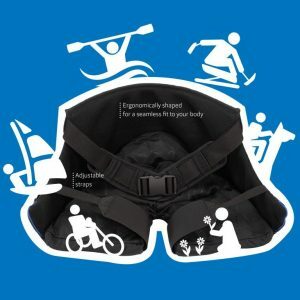 The open structure of the new Vicair AllRounder 02 cushion makes it extremely breathable, a valued feature for (sports) activities. Being completely machine washable, without having to disassemble will make it the easiest cushion you’ve ever used (and also a great choice for water sports). With an outside shell made of durable nylon fabric and an adjustable, padded waist strap and two elastic leg straps to keep the Vicair AllRounder O2 in place during movement, this cushion will be ready for whatever your next adventure is going to be. Read more on the Vicair AllRounder O2 product page.